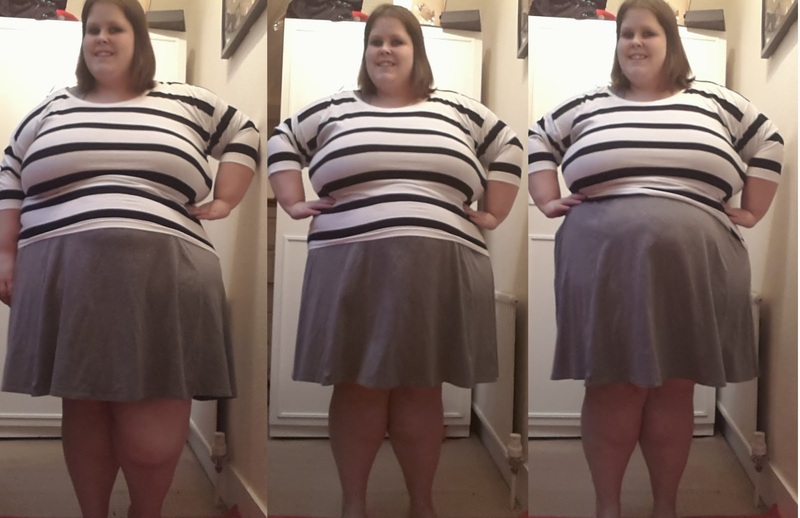 I know, I know - fat girls shouldn't wear stripes! I hear so many rules about what we should and shouldn't wear that sometimes it makes me dizzy. Thankfully I don;t listen because I love this outfit! 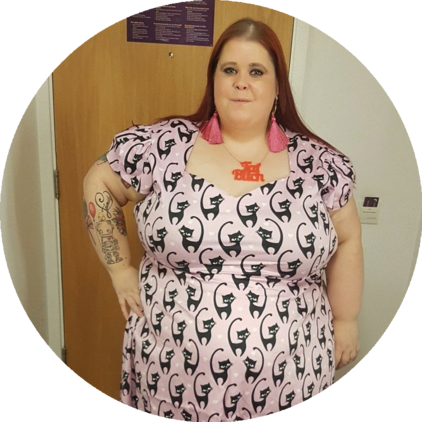 I love it even more because I picked up the jumper from ChatterMonkey at the Plus London Plus Size Market for a steal at just 50p! It's an Forever 21 item and I was initially worried about the length - I hate it when you get that gap between your trousers and top. 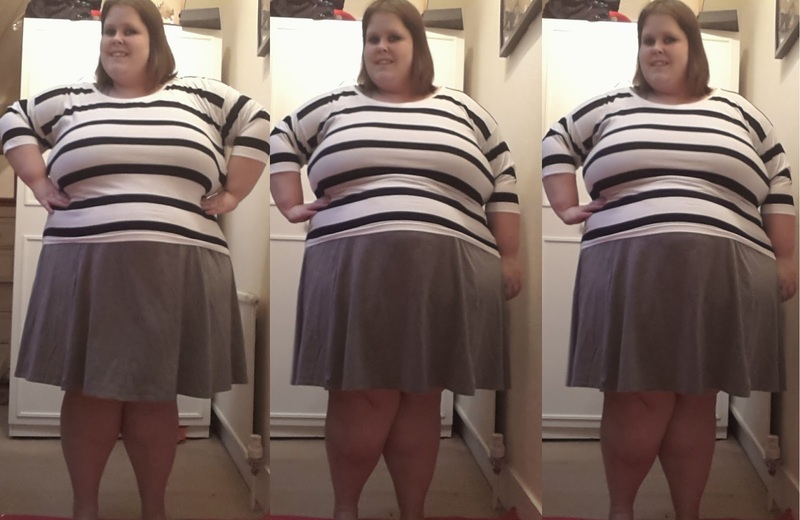 So, to get over that problem I simply wore it over an ASOS grey skater dress - problem solved! I just wore this outfit while playing dress up in my bedroom (as you do! ), I can't wait to wear it out properly! Do you like to break fashion rules?